Initially 50/50 partners, the men envisioned a chic, but relaxed social spot that would serve quality food and drinks from noon until late night, five days a week. They looked to Yorkville for the location, and found 25 Bellair, formerly a daytime coffee shop. Five steps down from the sidewalk, but with a sizable window looking out at street level, the location was one long, narrow room that Hitti and Khabouth would greatly re-design. Boa Café opened in October of 1989. There was nothing understated about it. From the October, 28, 1989 edition of the Toronto Star. Why it was important: Although Boa Café only seated 40, it had “the instant distinction of being the trendiest place in Toronto,” wrote the Toronto Star’s Christopher Hume in an appreciative review dated October 28, 1989. Boa became one of this city’s most coveted social spots thanks to a confluence of key elements and people. It certainly was an eye-popping location, whether one chose to hang out by day—magazines, chess, and backgammon were all on offer—or night. The aesthetic of Boa’s 1,200 square feet was largely imagined by Rony’s cousins Gregory and Alexander Gatserelia, together known as Gatserelia Design. Artist Kenny Baird, who had created installations and core elements for many clubs in the U.S. and Canada (including Khabouth’s Stilife), contributed Boa’s signature mosaic tiling, which covered much of the space. A bar ran the length of Boa’s room, with benches by the entrance and rows of tables filling the floor space. But it wasn’t just Boa’s aesthetic details that attracted patrons; it was also the energy, talents, and youth of the Café’s early staff. Most were already friends, or became connected as patrons of Boa. Durian hung out before being hired as a waiter and bartender because his pal Thomas Koonings worked there in the same role. Both became super tight with Mark Bacci, a teenager who grew to become a star chef at Boa Café after Hitti showed him the ropes. “Mark could not break an egg at the outset, but had an incredible palate,” says Hitti. Also central was Bassam “Sam” Nicolas, who had worked for Hitti’s parents for a decade prior to becoming Rony’s “right-hand man” and general manager at Boa. Hitti gives credit as well to “all-star waitresses” Rebecca Shafrir and Sacha Grierson, both of whom became part of the Boa team while still in university. All of these people personified Boa Café during its first year, a year that Hitti actually describes as “very difficult, business-wise” for himself and partner Khabouth. “We lost our shirts, and Charles was starting to experience problems at Stilife because of Oceans [the club’s adjoined restaurant],” states Hitti. “The relationship went sour between the two of us, and we decided to go our separate ways. So too grew Boa’s focus on music. It had been integral from day one, as Hitti and DJs from Stilife provided funky mixtapes of soul, rare groove, deep disco, and early house, but the Café became more synonymous with its sounds after Hitti placed his turntables behind Boa’s bar. 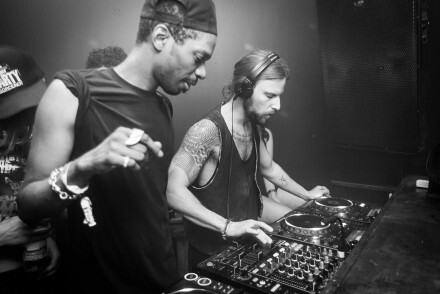 “Boa was the first bar/restaurant in Toronto to incorporate a DJ at all times,” he claims. At first, all of Boa’s staff took turns behind the decks, with Stilife DJs including Chris Klaodatos stepping in to play occasional late-night parties for which the tables and chairs would be pushed aside. Boa also hosted art exhibits, film-festival parties, fashion shows, and other events. The late night crowds began to swell. 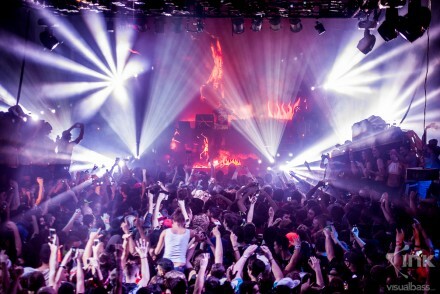 “Boa blew up at night, into this after-hours scene,” describes Bacci. “Everyone from the industry found themself at Boa. It was like this underground hub of what was cool in the city. It wasn’t a boozecan; people actually came to hang out, eat, and drink. Every top chef went, along with restaurant owners and workers. We would throw parties once a month that became an insane night, spilling out onto the streets of Bellair. Cops never bothered us—because they were customers, and because the food was so good that it just wasn’t that kind of place. 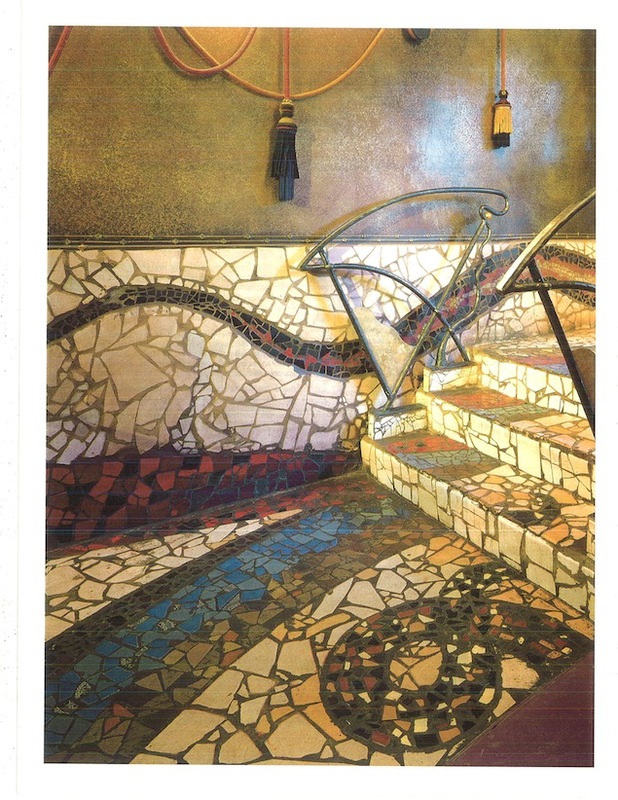 Kenny Baird’s signature mosaic tiling, as featured in the Oct. 1991 edition of Interior Design magazine. Occasional parties gave rise to DJs on Boa’s decks Thursdays through Saturdays, when the Café would be open as late as 5 or 6 a.m. Boa became the late-night hangout for a huge range of people. “Boa was a kind of enigma where it wasn’t a club, a full-blown restaurant or a bar, yet it managed to be all these things and more in one night,” describes Durian. “Boa had a myriad of identities, which changed by the hour and by the clientele. You couldn’t cast half the people that came in. Durian, who left Boa in 1992 to study film in London and then New York (he’s now a Los Angeles-based director and cinematographer), mentions visits from the likes of Ben Kingsley, Lennox Lewis, Kid ‘n Play, and members of both the Toronto Maple Leafs and Blue Jays. A young Susur Lee is reported to have been a Boa regular, as were owners of restaurants including Rodneyʼs Oyster House, Splendido, and Centro. A new generation of club and restaurant promoters and owners (or owners-to-be) also hung out, including the Assoon brothers (Twilight Zone), Edney Hendrickson (Octopus Lounge), and Leslie Ng and Byron Dill (Kubo DX and more). Dill, in fact, was such a regular at Boa, he later joined the staff as a bartender and event promoter. Bacci, in turn, credits Hitti with connecting scenes and communities. Food remained very much a focus at Boa long after Bacci’s departure, but its DJs and late-night dancing continued to grow in popularity. After DJ Chris Klaodatos left as resident, Energy 108’s DJ Fran stepped in as Boa’s main weekend spinner from 1993 to 1996, with DJ Radamés Nieves blending Latin and Afro beats on Thursdays and occasional Fridays. 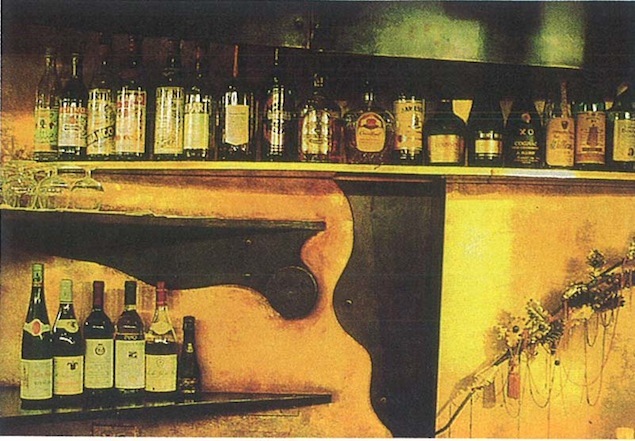 The Boa bar, as featured in the Oct. 1991 edition of Interior Design magazine. Image courtesy of INK Entertainment. What happened to it: By 1996, Boa Café was so busy that a second room was added, doubling the venue’s square footage and creating a designated dancefloor. Many hundreds of people would come through on weekends, packed in “like sardines,” according to Hitti. That said, Boa didn’t receive a lot of police attention. But Hitti acknowledges, “It got to the point where the place was so busy that eventually this was its downfall. “Literally, people would get off a plane at 1 a.m., ask where they could get a drink, and taxi drivers would bring them down. People would show up at the door, and many would be told they could not come in. We had just one doorman, Larry Trump; he could handle all those crowds by himself. 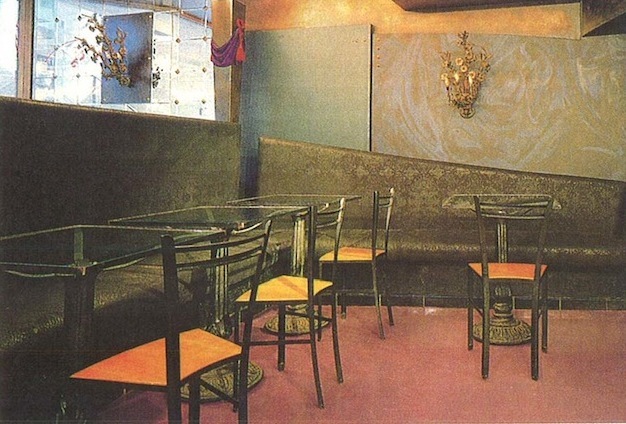 By 1998, when Hitti’s lease at 25 Bellair came up for renewal, he also owned businesses including Brasserie Zola (“a very bourgeois French restaurant”), Winston’s (“probably the highest-rated fine-dining restaurant in the city [at the time]”), and Turkish Bath, the member’s-only nightclub beneath it. “My name was associated with being a chef, and owner of fine dining establishments,” Hitti concludes. “The last thing I wanted was my name in the newspaper associated with a shooting.” The lower level of 25 Bellair is now home to Vaticano Restaurant. The story of Boa continues in the next edition of Then & Now, when I revisit the club’s resurrection in the early 2000s as after-hours dance club Boa Redux on Spadina. Thank-you to Boa Café participants Mark Bacci, Marcos Durian, Rebecca Shafrir, and Rony Hitti, as well as to Hedley Jones and Thomas Koonings.